Thomas was born 35 weeks gestation, on September 10, 2013. He appeared perfectly healthy. After four short days home with his family he appeared to be in distress. 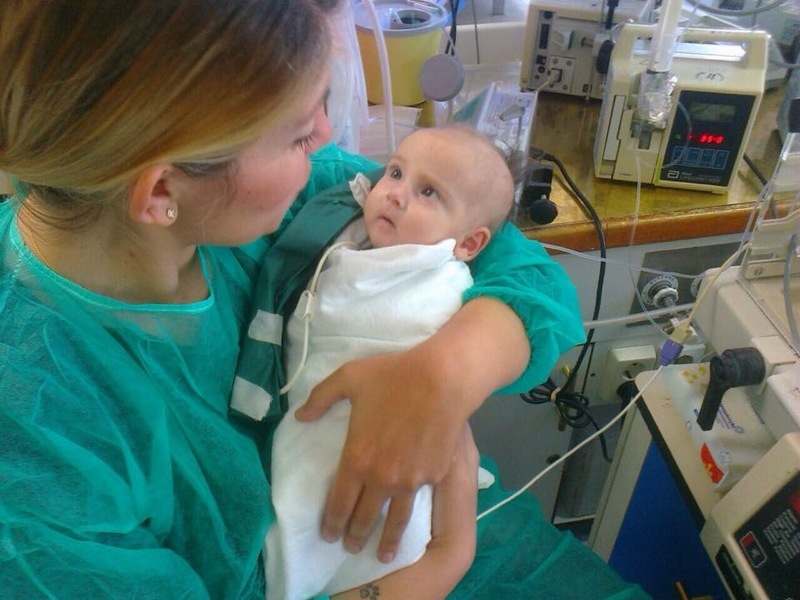 Thomas was rushed to the NICU immediately in critical condition. Thomas' kidneys had shut down and he was intubated because he was having difficulty breathing due to severe metabolic acidosis. He almost lost his life that day. Every time Thomas was fed he would deteriorate rapidly. Due to the severity of Thomas' condition and the inability to diagnose him, he was transferred to a children's hospital in NYC. Once he arrived at the second hospital, gastroenterologists wanted to preform an endoscopy and colonoscopy right away to test for Microvillus Inclusion Disease. Thomas showed all the symptoms of this disease, but the results were negative. A month later the test was repeated and the results were still negative. Doctors were baffled. A geneticist suggested a whole genome sequencing test that would take months to receive results, but might be the last chance for a diagnosis. It was clear Thomas could not eat to survive. Each time he was fed, he would excrete a critical amount of fluid. For his survival, he had a broviac (central line) surgically placed in his chest. He was administered TPN (Total Parenteral Nutrition). After spending the first four months of Thomas' life in a hospital, he was released without a diagnosis. Two months after his release, the genetic test revealed that his gastroenterologists' suspicions were correct. He did indeed have Microvillus Inclusion Disease. This genetic disease has a grim prognosis. Thomas is in intestinal failure. He is unable to retain fluid and absorb food. Thomas will be TPN dependent for the rest of his life. He will be closely monitored for many fatal complications including irreversible liver disease that leads to liver failure. The last resort for Thomas and other children who suffer from intestinal failure is a mulit-visceral transplant (liver, small and large bowel). It is one of the most risky transplants that exist. Thomas will unfortunately be in and out of the hospital for the rest of his life. There is no cure for Microvillus Inclusion Disease or intestinal failure. We feel very blessed that he has come as far as he has. His smile can light up a room. After watching Thomas fight for his life in the hospital, his family and loved ones will not stop fighting until there is a cure. Vasiliki suffered from a very rare disease called Microvillus Inclusion Disease. She was born 35 weeks gestation. 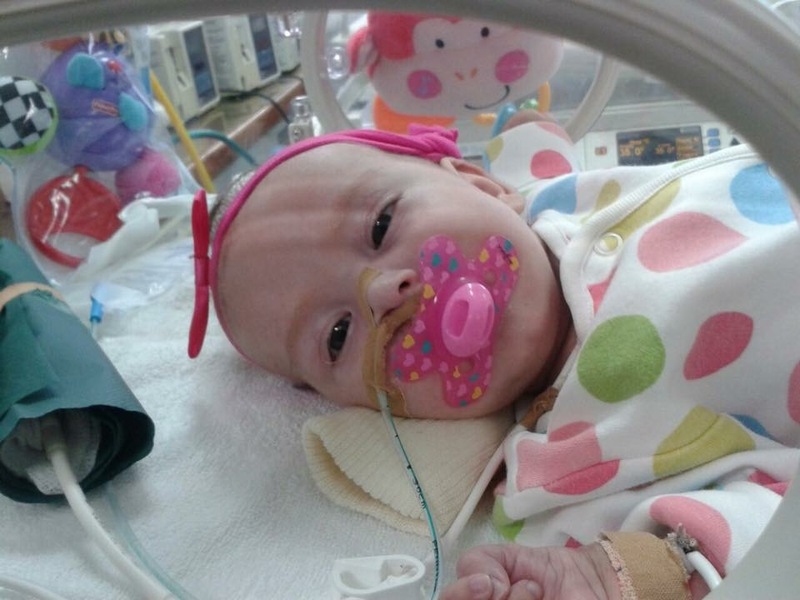 She wasn't diagnosed until she was three and a half months old. No doctors could figure out what was wrong with her intestines. After the doctors conducted much medical research, the gastroenterologist finally decided to do an endoscopy and colonoscopy. The doctor took biopsies from her intestine and reviewed them under electron microscopy. Her family finally had a diagnosis. She was in intestinal failure and had Microvillus Inclusion Disease. Thereafter, her family began their difficult journey. With the help of God, after such a difficult situation, their little miracle was a very happy child but struggled everyday. Her parents were very proud of her strength. The doctors in Greece had absolutely no experience with this disease. Her family felt like they were alone in the beginning of this journey. They did their own research to help their daughter. They found other children like Vasiliki through a Facebook page. Through their own research and talking to other parents they were able to guide the doctors as best they could. "Our family wishes the best for all these children suffering from this disease because they deserve it! Please help us find a cure for these beautiful children." Avery was a full term baby, born 6 pounds and 13 ounces, on September 7th 2014. Everything appeared to be normal. Feeding him formula wasn't an issue. However, as each day went on he began to look weak and his stool output was increasing. His parents took him to the pediatrician because they were concerned. His fontanel was starting to sink in. The doctor told them it was normal and it would correct itself. On September 15th, he began to look weak and dehydrated, so his parents took him to the hospital. He was quickly transferred to the Morristown NICU, where he spent almost 3 months. Doctors initially believed he had a severe milk protein allergy, and kept switching him to more gentle formulas. The doctors ran into the same problem with each formula. Each time they attempted to wean him off TPN he would become dehydrated. At that point the doctors suggested a biopsy. They would take a biopsy of his intestines. He had the procedure and the specimens were sent to top pathologists all over the United States, including the Mayo Clinic. A week or so later the test results came back. He was diagnosed with Microvillus Inclusion Disease. His family learned that it was an extremely rare gastrointestinal disease. They decided to transfer Avery to Children's Hospital of Philadelphia to meet his medically complex needs. Avery lives with his family in New Jersey, but is still closely monitored by CHOP. He is currently on the UNOS transplant list. Declan was born December 2, 2009 and was diagnosed with a rare genetic disease called Microvillus Inclusion Disease. He was 9 weeks old when he was diagnosed at Boston Children's Hospital. Declan has a central line and has been completely TPN dependent since birth. He is unable to eat to sustain his health or more importantly his life. The first few years were challenging, as Declan spent large amounts of time in and out of the hospital. Together, the doctors and his family learned to manage his disease. Learning to live with this disease is challenging, but now Declan is a thriving, beautiful boy who loves to swim, snow ski, play Nintendo Wii, and play instruments. Although his family continues to face challenges everyday, they do their best to overcome them. Jakob Joel was born August 9, 2014 at 37 weeks gestation. While in the hospital his parents noticed that Jakob's stomach was making very odd rumbly sounds. He did not ingest meconium at birth and everything else appeared normal. Doctors didn't know what to make of this, so he was sent home. At home, Jakob was eating normally, but kept throwing up and having serious diarrhea. His stomach got distended and he looked very sick. On his 2nd day home, his parents took him to the pediatrician. He had lost over 1 lb. and lab reports revealed severe metabolic acidosis. They immediately flew him to a hospital in Wichita, KS. He was in Wichita for approximately a month and a half. Doctors desperately tried to figure out what was wrong. They thought he had an extreme lactose intolerance, but nothing they did was working and he was continuously losing weight and getting worse. They decided to fly him to Children's Mercy in Kansas City. At Kansas City they stabilized him, and did biopsies of his upper and lower GI tract. Jakob was diagnosed with Microvillus Inclusion Disease. His family was told that he would either need to be on TPN for the rest of his life, or he would need a transplant. 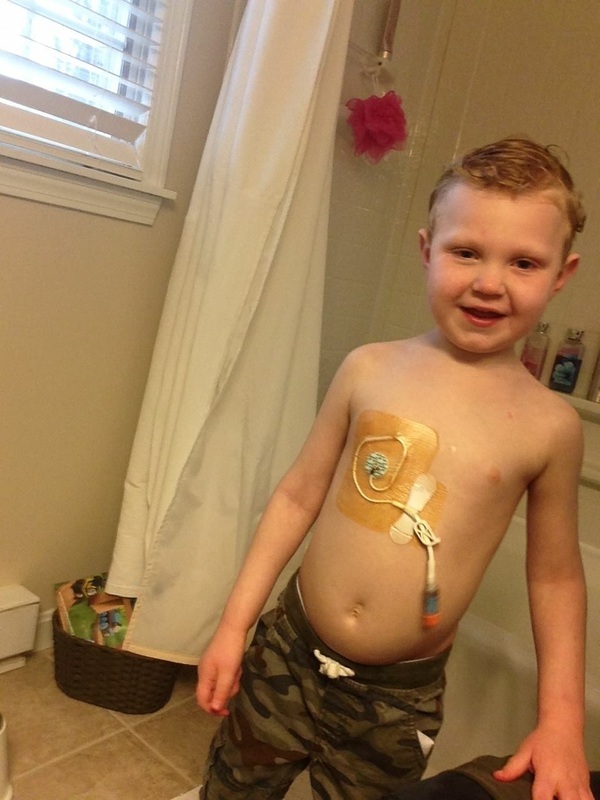 Jakob's family chose to place him on the transplant list. Once in Pittsburgh, the doctors determined that feeding Jake anything by mouth or tube feeding was making him worse. After 5 1/2 months in hospitals, Jake was stable and able to go home just in time for Christmas. He had his transplant evaluation in February of 2015. Jakob is currently TPN dependent 24 hours a day. He isn't growing as well as he should. Due to his delayed physical development and spending the first half of his life in the hospital, he has occupational and physical therapists that work with him weekly. He is a very happy and eager bright boy. He is listed on the UNOS transplant list for a stomach, small intestine, colon, liver, and pancreas. Doctors are unsure of the time frame because of Jake's small size. They said it could take up to 2 years. His family expects great things from him! They pray daily for new research to help him and others like him. Awareness is key to helping children with Microvillus Inclusion Disease. Tessa was born at 42 weeks gestation. She weighed 3,78 grams (8.3 pounds) and her length was 51 cm (20 inches). Everything seemed to be normal...up until the moment her bottle feeds were increased. She drank all her bottles, even some extra bottles, buy they caused severe watery diarrhea. At first, the physicians suspected Tessa had a severe Cow's Milk Allergy (CMA). This turned out to be wrong because alternate bottle feeding also didn't improve her situation. Finally, after 3 months in the hospital, Tessa was diagnosed based on a small intestine biopsy and DNA research. 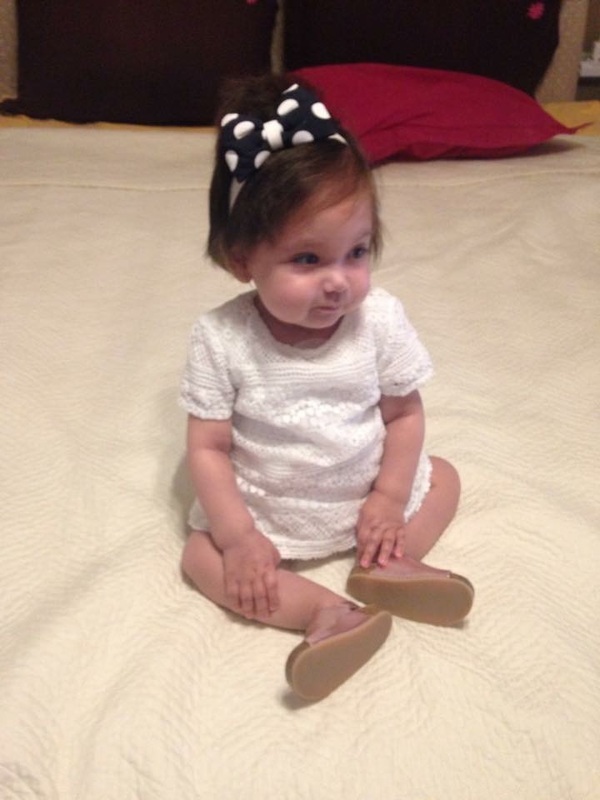 Tessa was diagnosed with Microvillus Inclusion Disease. Five years later, considering the circumstances, she's doing reasonably well. Unfortunately, she has a Vitamin D deficiency due to parenteral nutrition, causing brittle bones (osteoporosis). Last year she was in plaster casts 5 times. Because of this, she's currently physically handicapped, but hopefully her condition will improve with physical therapy. Tessa is a very cheerful, sweet and brave girl...an example to many! Her family hopes that one day a treatment will cure Tessa! "And now our stories are yours...give them a happy ending by donating for MVID research."